One of the most important aspects of our jobs as jazz ensemble directors (and the most difficult at the same time) is the selection of music. When done properly, this process makes a significant impact on the success of the ensemble. We have all heard bands that attempt to play music that’s too difficult. These charts can harm the students’ morale as well as their chops. If a group spends all of its rehearsal time on just learning the notes, it is impossible to get a good, solid musical performance. We are fortunate in jazz education to have many outstanding professional writers involved in providing jazz music for our educational programs. We applaud this healthy situation and encourage continuing cooperation among composers/arrangers, publishers and jazz educators to maintain the momentum. Still, there is a concern with how both publishers and jazz directors view the jazz ensemble’s function in the school. A large number are published each year that have very little educational value; most of these fall into a category of pop music or “why do we need an arrangement of this?” We have to assume that publishers are printing large quantified of this kind of music because directors are buying it. Although we understand the need to purchase a nominal amount of pop music, using a steady diet of such material is simply an unacceptable educational practice—especially in these times of economic accountability in our schools. We must not lose sight of the goal of the jazz program: to have our group play jazz—America’s classical music. Each school needs a solid philosophy of jazz education that will ensure a well-balanced diet of good music for the students. Although jazz is only about one hundred years old, we are fortunate to have accumulated an enormous body of standards or classic jazz compositions and arrangements. In this way, jazz parallels the orchestral field where the richness of the proven “classic” literature contrasts with the more recent compositions. While the classic literature has proven the test of time, many of the more recent compositions will soon become classics as well. Taking advantage of this same approach in selecting jazz music for performances will not only enrich the are form but will also expand the horizons of all of our students as well as listeners. This is another way to keep jazz history alive, and it is equally important as an effective teaching tool for jazz educators. For example, there is certainly much to be learned from the way the Count Basie Orchestra interpreted “Basie Straight Ahead.” The original arrangement is available for advanced students; however, younger students playing a simplified arrangement of the same tune will gain much as well. It is difficult to imagine a jazz library without music by great jazz arrangers such as Sammy Nestico, Quincy Jones, Bill Holman, Bob Holman, Bob Mintzer, Dominic Spera, Gordon Goodwin, Mark Taylor, Claire Fischer, Dave Wolpe,Lenny Niehaus, Dean Sorensen, Maria Schneider, Jim McNeeley, Doug Beach, Mike Tomaro, Mike Sweeney, Peter Blair, Victor Lopez, and Mike Story, to name a few. The classic jazz standards should be present in all jazz band libraries. We encourage you to purchase them for yours. If you are just starting a jazz library or adding to your current library, the charts you select need to be based on the educational and performance needs of your program as you perceive them. Certainly one of your most important tasks as a jazz director is selecting music that fits your group. This requires a complete knowledge of he strengths and weaknesses of your group. Here is a suggested list of information that can help ou determine the ability level of your group so you will be ready to select appropriate music. If your group does not have standard instrumentation, look for charts that are playable with reduced instrumentation. Know the practical range of each player in your group, particularly the lead trumpet, lead bone, first alto, and bass bone. Who are the weak players and/or sections? Who are the strong players and/or sections? Can your saxes double on other instruments (flute and clarinet)? What is the endurance of the wind players? Do the rhythm section players need written-out parts? If so, who? Who are the soloists, how advanced are they in their knowledge, and what do they need in the music—changes, suggested solos, scales, and so on? What are the limitations of the group in terms of playing in different musical styles? Do you need to include non-traditional instruments such as flute, clarinet, horn in F, baritone horn, tuba, and so on? Although the information in the chapter will help you determine the level of your group and appropriate charts at that level, you must decide upon a balance of easier charts and more difficult charts to fill out your book. A jazz ensemble needs some easy charts that they can have success with immediately. These easy charts are great for their confidence and also make great warm-up selections for rehearsals. The band could become bored, complacent, and frustrated without challenging music that makes them stretch beyond their current ability level. 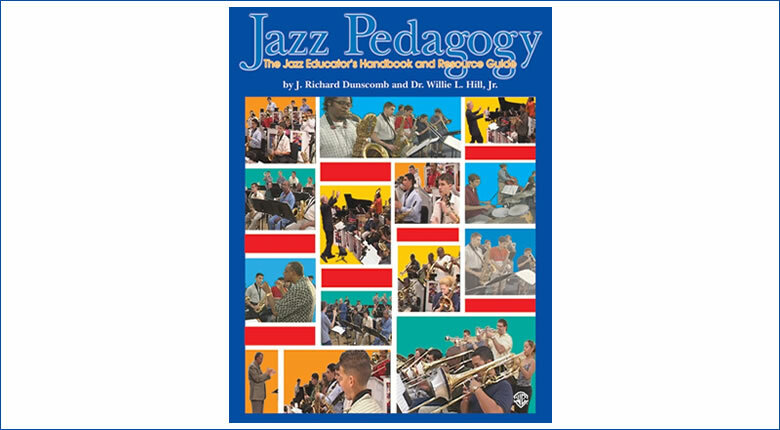 Jazz Pedagogy: The Jazz Educator’s Handbook and Resource Guide by J. Richard Dunscomb and Dr. Willie L. Hill, Jr.